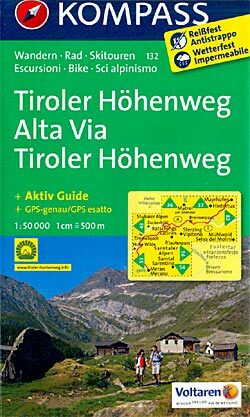 The Tiroler Höhenweg combines Nord Tirol in Austria and Süd Tirol in Italy. 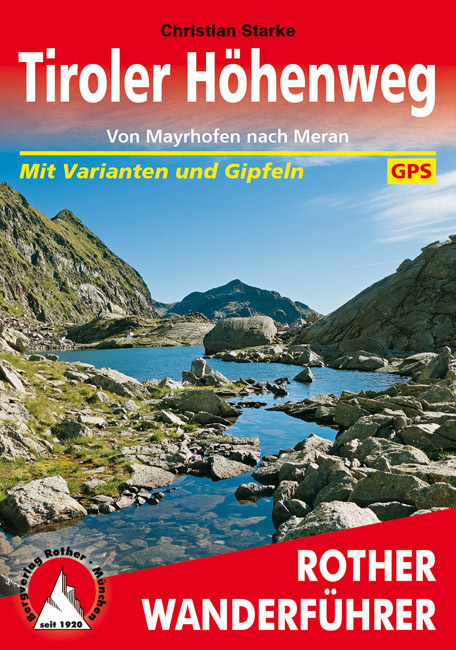 The trail starts in Mayrhofen, centre of the Zillertal. In about 11 days (some will need more time, others maybe one or two days less) one crosses the entire region, up till the Italian city of Merano. This involves a lot of going up and down, up till passes of some 2.800 m.
By the time you arive in Merano, you will have climbed 9.000 m, descended 10.000 of them, slept in 5 mountain huts and some 5 village hotels. A sportive trail, but not a difficult one, for healthy hikers. Detailed day to day description of the entire trail. 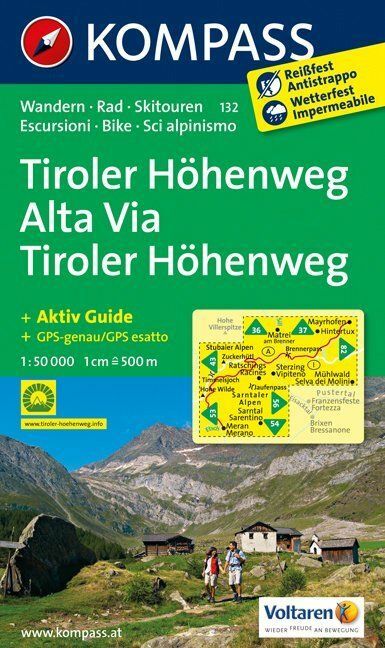 Homepage of the Dolomites Tiroler High Route. Information on huts, downloadable guide and maps, useful links etc. A report of the trail including the GPS data.